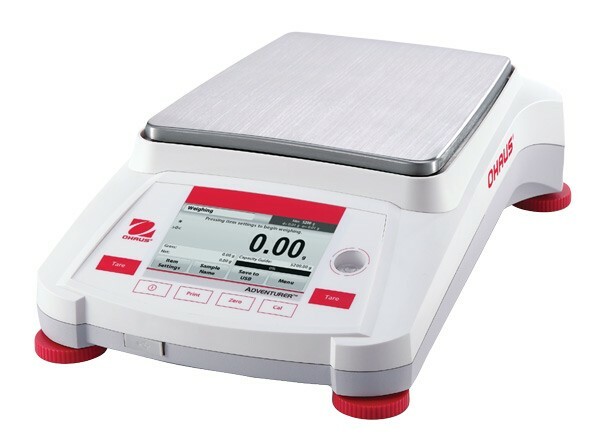 Stabalization time as fast as 1 sec means increased efficiency in your laborarory Equipped with Advanced weighing technology, the Adventurer also ensures repeatable and reliable weighing results. Large colour ,wide angle VGA display,with 6 mechanical buttons . Metal Base with ABS plastic top case , with stainless steel pan. 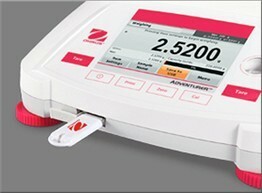 All Ohaus Adventurer Balances balances are manufactured under an ISO 9001 Registered Quality Management System. Our rugged construction and stringent quality control have been hallmarks of all Ohaus products for nearly a century. If you are still not sure if the, Ohaus Adventurer, is right for your individual requirements, please Contact our technical team and we will be able to assist you in finding the right scale for your needs.